For those who need to depend on a reliable logistics service provider to cater to their import from China to Malaysia business needs, TS Freight offers a range of custom-made cargo shipping to Malaysia packages at very reasonable cost. We are the Number One freight service provider for cargo shipping to Malaysia, handling all of our client’s freight needs under a single roof. Be it shipping by air or by sea, we undertake your consignment with the full responsibility that we will ensure timely collection, processing and packing, inventory and documentation, loading and unloading, and will even see that the cargo is delivered undamaged to the final destination without a single hiccup. 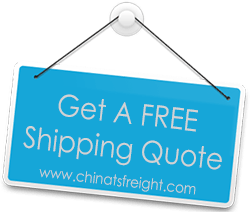 At TS Freight, we proffer extremely efficient freight services wherein your cargo can be shipped from any of the main cities in China, for example – Guangzhou, Tianjin, Dalian, Shenzhen, Ningbo, Shanghai, Xiamen, Hangzhou, Hong Kong, and more, to any of the main cities in Malaysia. Our wide spread network allows us to transfer your goods, be big or small, to destinations like Kuala Lumpur, George Town, Penang, Malacca and more using the safest and the fastest mode of transport. What sets us apart is that we ensure the whole process is streamlined, so that you don’t have to worry about a thing. We co-ordinate everything from pick-up to custom clearance to quality checks, so that your business doesn’t have to suffer from delays and damages that are the bane of the supply chain business industry. We will be your trusted partners for import from China to Malaysia, because we understand that the success of our business is directly dependent on the success of yours.